The conference fee (regardless of registration type) includes two social events - conference dinner and a trip to castle Konopiste. The conference dinner will take place on Saturday evening at the Admiral botel, that is anchored by the banks of Vltava river. The dinner will be served at the summer board, providing a beautiful panorama of the Old city of Prague. On Sunday afternoon, right after the conference closing, we organize a trip to Konopiste, a castle near Prague (around 35 km). A bus departs near the conference venue. At the castle site, there is an English speaking guided tour organized. 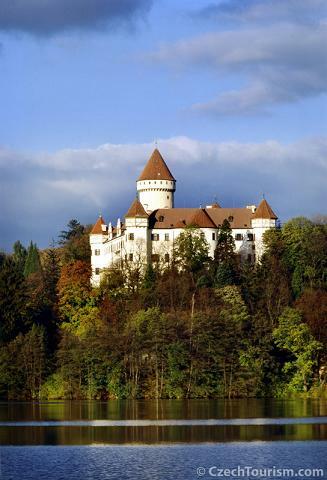 As cited from Konopiste website : "Originally castle from 13th century established on French castell type, today chateau inherently connected with its last nobleman owner Franz Ferdinand d�Este. On guided tours you can find representative and inn-holders rooms, collection of arms and hunting trophies and private chambers of Franz Ferdinand. In chateau is also situated museum of St. George and Shooting-range. We recommend you visiting of Rose Garden and Chateau Park."